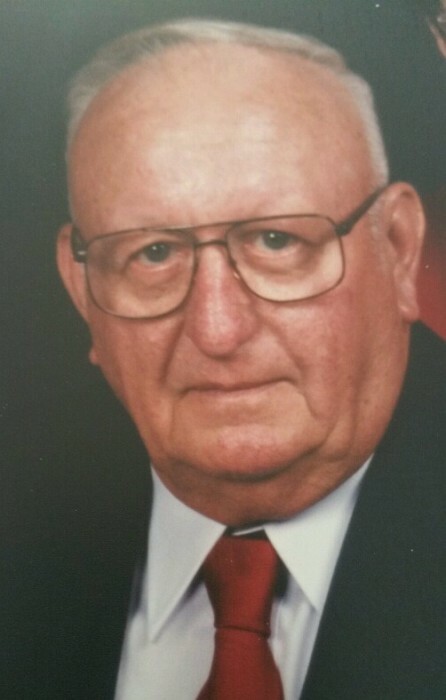 Carl William Eads, 90, of Russellville, Ohio, passed away Friday, February 8, 2019, at Meadowview Regional Medical Center. Born on January 23, 1929, in Trinity, KY, he was the son of the late Raymond Eads and the late Vinnie Wolfe Eads Pollastrini. Carl worked for Coca-Cola in Cincinnati for 28 years on the assembly line. He proudly served his country in the United States Marines. He was a member of the Erlanger Baptist Church. He is survived by his wife of 70 years, Irene Evelyn Gardner Eads; and his sister, Regeana Morgan and husband, Al. In addition to his parents he was preceded in death by his brothers, Robert L., Irvin R., and George Larry Eads. Service will be 12 p.m., Wednesday, February 13, at Boone-Nickell Funeral Home with Rev. Tracy Parker officiating. Carl will be laid to rest in Mt. Carmel Cemetery. Military rites will be performed by the W.N. Fant American Legion Post #5 and Franklin Sousley VFW Post 1834. Pallbearers include Woody Thomas, Jake Jodrey, Larry Fearin, Roy Quinn, Tony Orme, and Marvin Blevins. Visitation will be 11 a.m. until the hour of service on Wednesday at the funeral home.